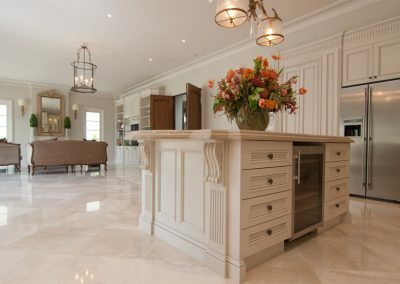 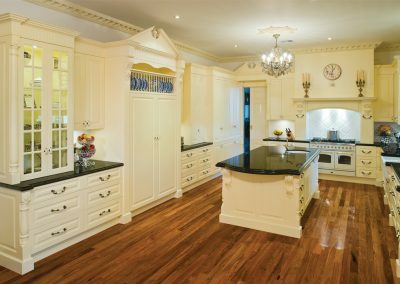 This typical suburban home has a very atypical interior, thanks to the impressive work of the Smith & Smith Cabinet Makers team. 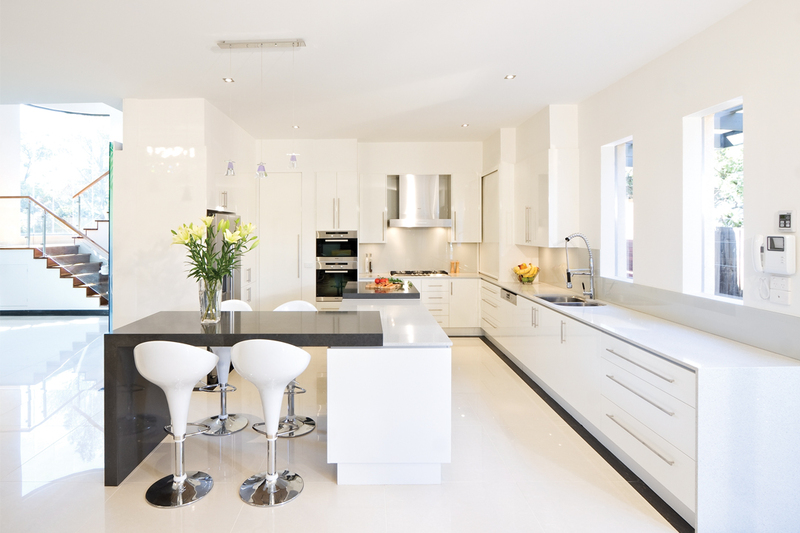 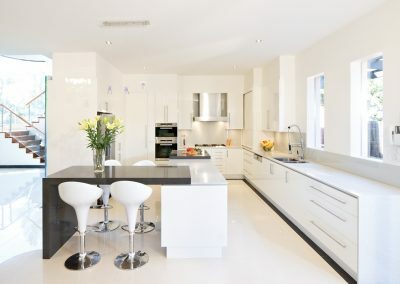 A step inside the home reveals a bright and modern kitchen with a bold colour scheme, that’s a breathtaking sight when visitors enter the kitchen and living area. 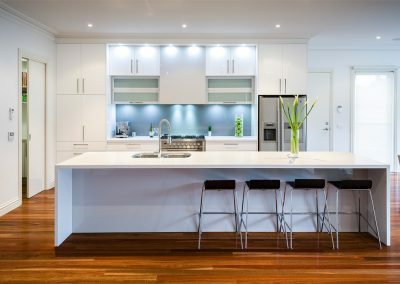 The homeowners have a young family, so it was important that the kitchen and living room be combined to allow for increased supervision. 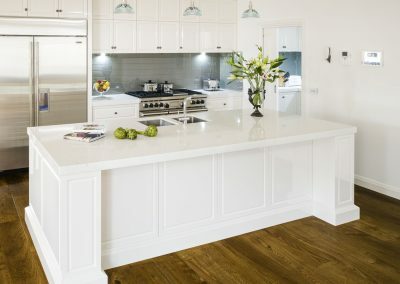 They also wanted the space to be unique and modern with a crisp and fresh appearance. 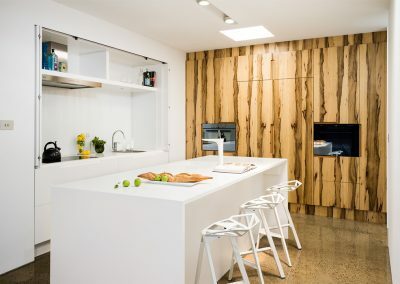 To meet their needs for a dual kitchen and living area, one side of the ‘L’ shaped island was specifically designed as an informal eating zone for the children to sit at while the cook works at the adjacent leg of the island bench. 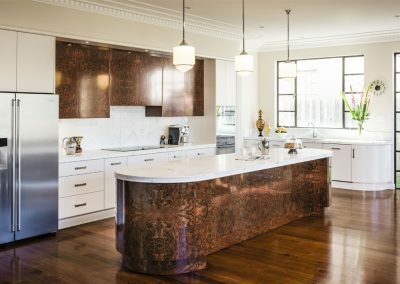 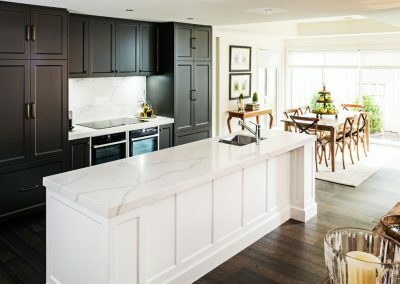 One of the most important aspects of the kitchen’s appearance is the use of contrasting materials for the island benchtop. 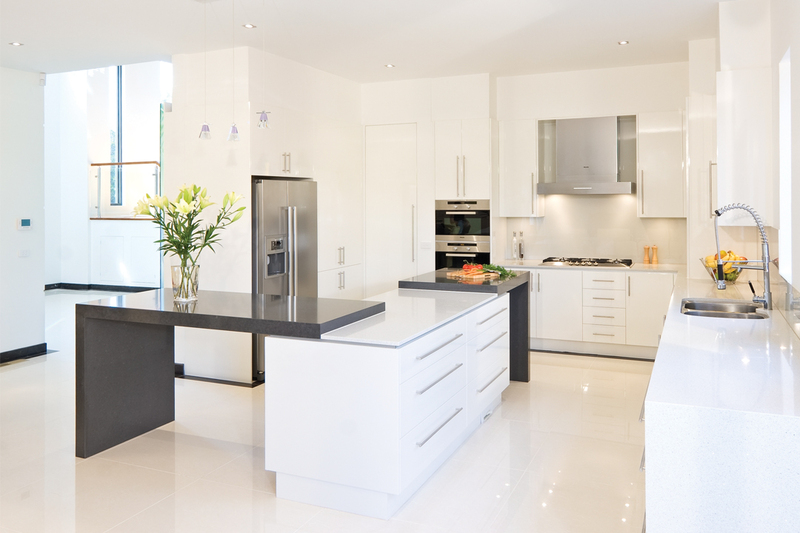 The black and white stone surfaces in varying thicknesses provide an eye-catching focal point for the whole room. 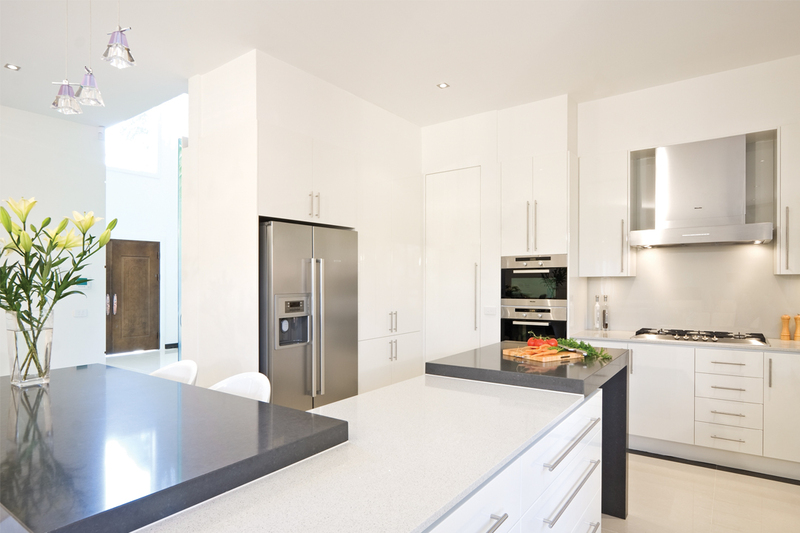 Business owners, the homeowners like to buy food in large quantities so they can cook at their leisure. 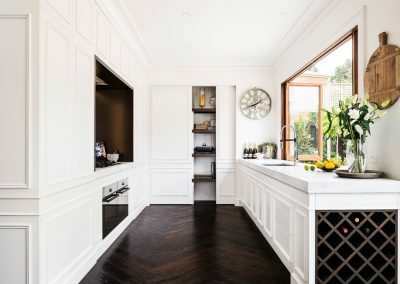 The two spacious pantries, one of which is a walk-in, allow the homeowners to store all their cooking necessities. 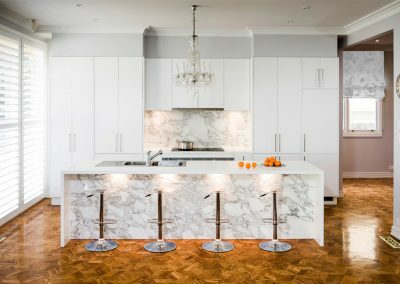 With clearly defined work zones, the kitchen is now incredibly easy to use. 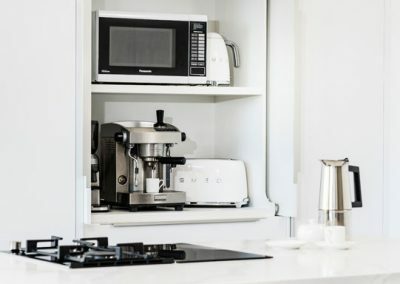 All the cooking facilities are located in one corner of the kitchen, while the sink and cleaning and waste area were positioned under the new windows. 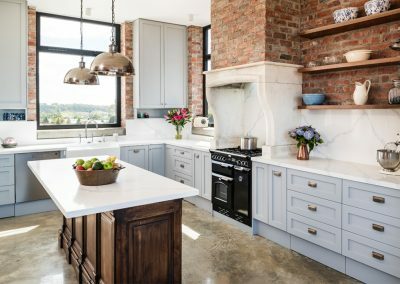 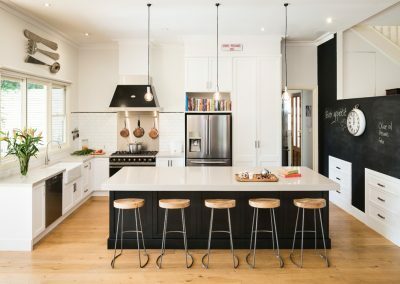 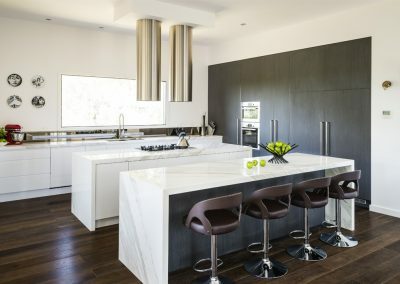 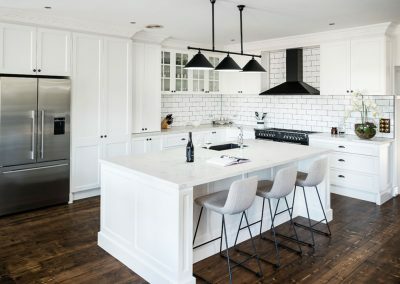 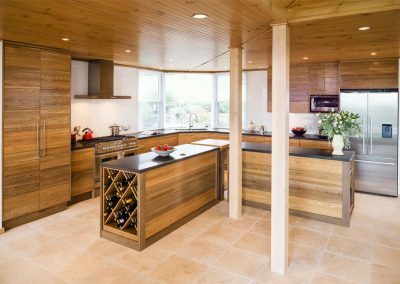 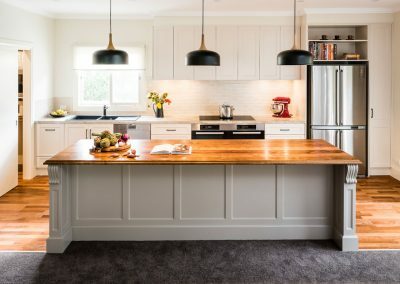 Through clever planning, the kitchen has a large flow of uninterrupted bench space for food preparation and serving, while also being an attractive centrepiece to the home.